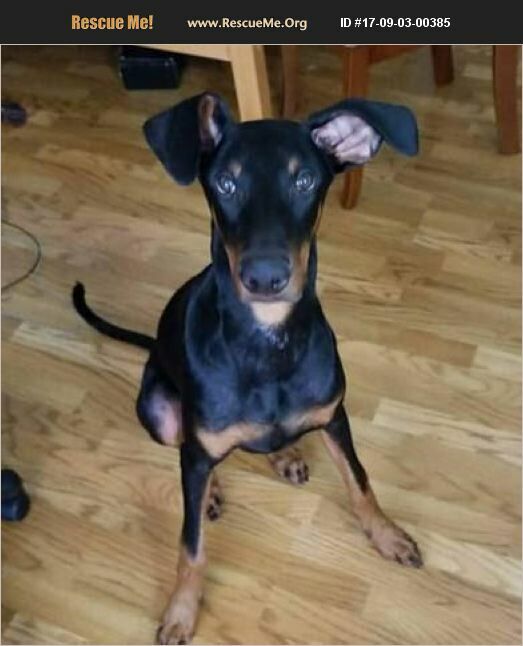 We have a sweet and playful Doberman (almost 1YO) that needs a forever home. He's fully vaccinated and neutered (his ears and tail have not been clipped). Aleister urgently needs to be re-homed due to owner health issues. He is a VERY smart dog and sweet. Optimal home environment has no young kids (teens okay), no cats. He needs a lot of physical activity and does best when given the opportunity to hike (or go on long walks) daily. He is crate trained (including overnight), housebroken, knows certain commands: sit, down, stay, paw, wait for it, okay. He loves to learn. He can walk on a leash, likes being outside in the day (but inside at night). He's not much of a barker - mostly when strangers knock at the door. Loves the dog park and most other dogs (is subordinate in general). He is too much dog for my health. Rehoming fee $300 - but willing to negotiate for an ideal situation.